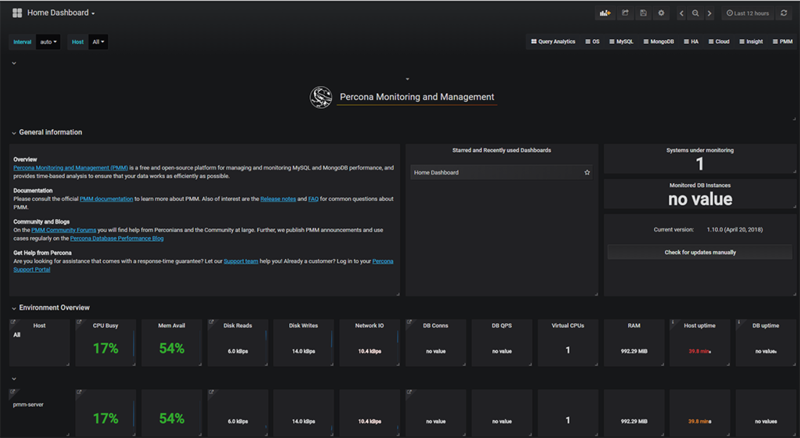 It’s very easy to install Percona Monitoring and Management (PMM) on DigitalOcean. 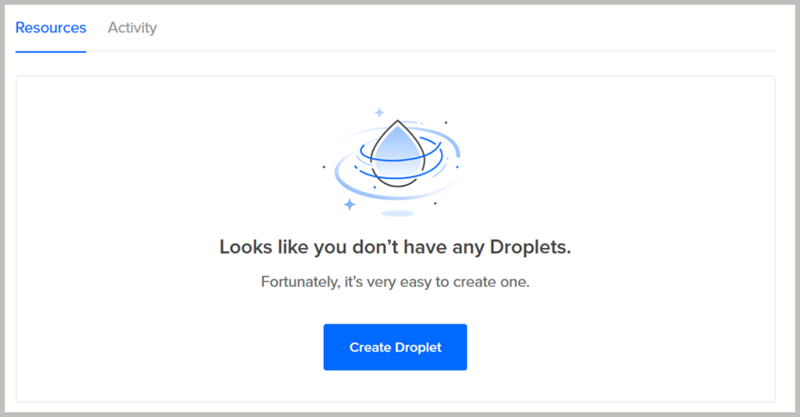 If you’ve never used DigitalOcean before, you will find that it is user-friendly and not very expensive. For $5/month you can easily host your PMM on it, letting you monitor your simple infrastructure or try out PMM before implementing it to monitor your production environments. 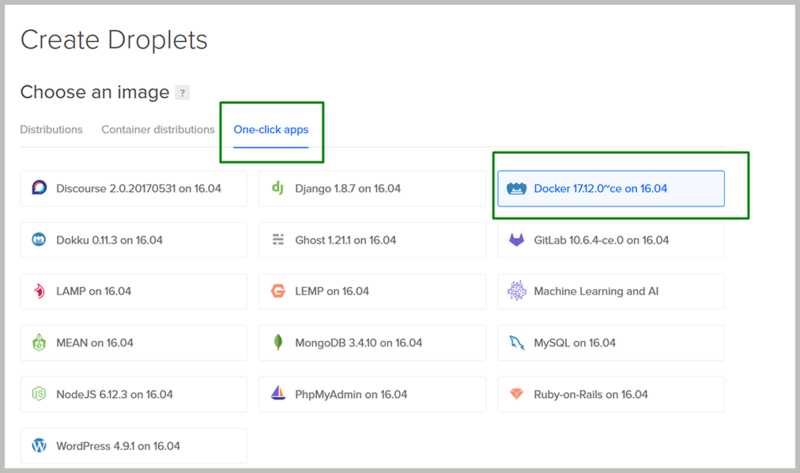 Thanks to DO you can skip the boring OS setup and save time by using the Docker “One click app” in DO and the Docker image from PMM. Note: After clicking on “Docker…” choose an instance size that accommodates your budget – PMM can run on as little as the 1GB 1vCPU instance! Since the next Percona Live Europe, 2018 will be in Frankfurt (https://www.percona.com/blog/2018/04/05/percona-live-europe-2018-save-the-date/ ) for me the location choice is obvious. I recommend you add ‘pmm-server-‘ at the beginning so that you can easily find it in your control panel. The name in my case is ‘pmm-server-docker-s-1vcpu-1gb-fra1-01’ and I’ll use it later in this tutorial. When the Droplet is created, you’ll get an email with your login details. SSH to the server, change the password, and let’s prepare to install the PMM server. have been blocked by default. Note the output for the first login. You are getting Ubuntu 16.04 with pre-installed Docker. That’s all! Congratulations! Your PMM server is running. There you can see that PMM has already started monitoring itself. To open only pmm-client related ports, follow https://www.percona.com/doc/percona-monitoring-and-management/glossary.terminology.html#term-ports To run ufw, you need to use the terminal, and you can find more information about ufw at https://www.digitalocean.com/community/tutorials/ufw-essentials-common-firewall-rules-and-commands Once you have opened up the ports, PMM should now work correctly for this setup. If you are out of space, upgrade your DO Droplet. 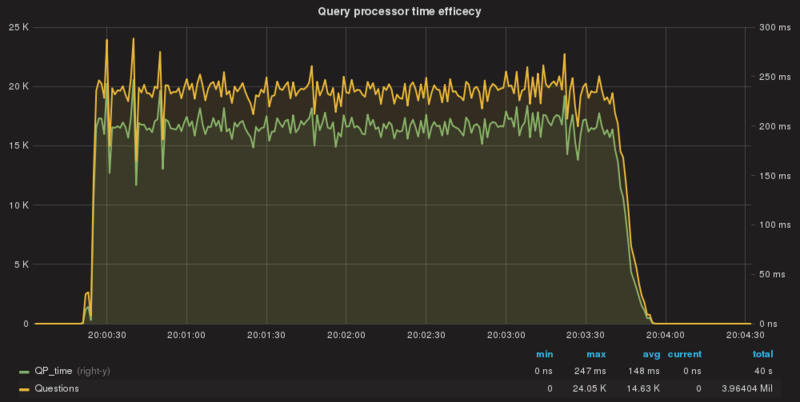 The post Deploying PMM on DigitalOcean appeared first on Percona Database Performance Blog. 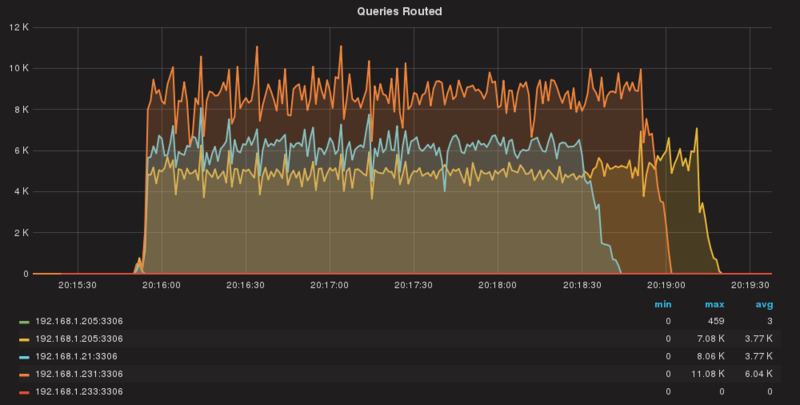 The post Using dbdeployer to manage MySQL, Percona Server and MariaDB sandboxes appeared first on Percona Database Performance Blog. First off you will need to have a Google account and install the Cloud SDK tool. You need to create a GCP (Google Cloud Platform) project and enable billing to proceed. This blog assumes you are able to authenticate and SSH into instances from the command line. Here are the steps to install PMM server in Google Cloud Platform. 1) Create the Compute engine instance with the following command. The example creates an Ubuntu Xenial 16.04 LTS compute instance in the us-west1-b zone with a 100GB persistent disk. For production systems it would be best to use a 500GB disk instead (size=500GB). This should be enough for default data retention settings, although your needs may vary. This startup script will be executed right after the compute instance is created. The script will format the persistent disk and mount the file system; create a custom Docker unit file for the purpose of creating Docker’s root directory from /var/lib/docker to /mnt/disks/pdssd/docker; install the Docker package; and create the deploy.sh script. 2) Once the compute engine instance is created, SSH into the instance, check that Docker is running and the root directory pointing to the desired folder. May 16 12:53:30 pmm-server dockerd: time="2018-05-16T12:53:30.391566708Z" level=warning msg="Your kernel does not support swap memory limit"
May 16 12:53:30 pmm-server dockerd: time="2018-05-16T12:53:30.391638253Z" level=warning msg="Your kernel does not support cgroup rt period"
May 16 12:53:30 pmm-server dockerd: time="2018-05-16T12:53:30.391680203Z" level=warning msg="Your kernel does not support cgroup rt runtime"
May 16 12:53:30 pmm-server dockerd: time="2018-05-16T12:53:30.392913043Z" level=info msg="Loading containers: start." May 16 12:53:30 pmm-server dockerd: time="2018-05-16T12:53:30.767048674Z" level=info msg="Default bridge (docker0) is assigned with an IP address 172.17.0.0/16. Daemon option --bip can be used to set a preferred IP address"
May 16 12:53:30 pmm-server dockerd: time="2018-05-16T12:53:30.847907241Z" level=info msg="Loading containers: done." May 16 12:53:30 pmm-server dockerd: time="2018-05-16T12:53:30.875285809Z" level=info msg="Daemon has completed initialization"
May 16 12:53:30 pmm-server dockerd: time="2018-05-16T12:53:30.884566419Z" level=info msg="API listen on /var/run/docker.sock"
May 16 12:53:30 pmm-server systemd: Started Docker Application Container Engine. 3) Add your user to the docker group as shown below and change deploy.sh script to executable. 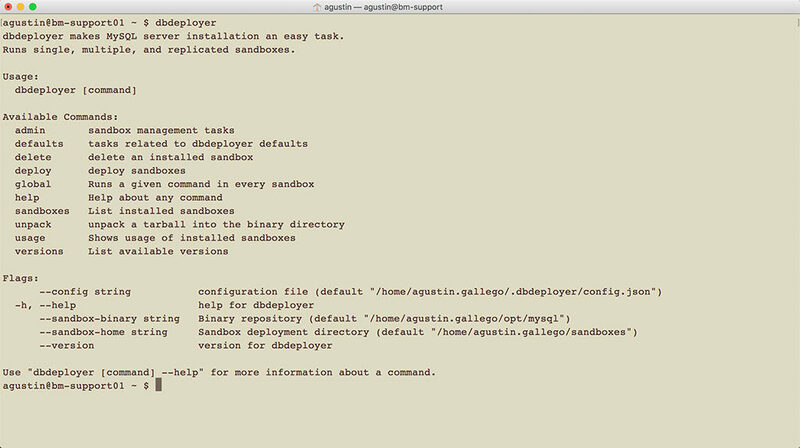 4) Log off from the instance, and then log back in and then execute the deploy.sh script. 5) Finally, create a firewall rule to allow HTTP port 80 to access the PMM Server. For security reasons, we recommend that you secure your PMM server by adding a password, or limit access to it with a stricter firewall rule to specify which IP addresses can access port 80.
jerichorivera@percona-support:~$ gcloud compute firewall-rules create allow-http-pmm-server --allow tcp:80 --target-tags pmmserver --description "Allow HTTP traffic to PMM Server"
At this point you should have a PMM Server in GCP running on a Compute Engine instance. The next steps is to install pmm-client on the database hosts and add services for monitoring. Here I’ve launched a single standalone Percona Server 5.6 on another Compute Engine instance in the same project (thematic-acumen-204008). 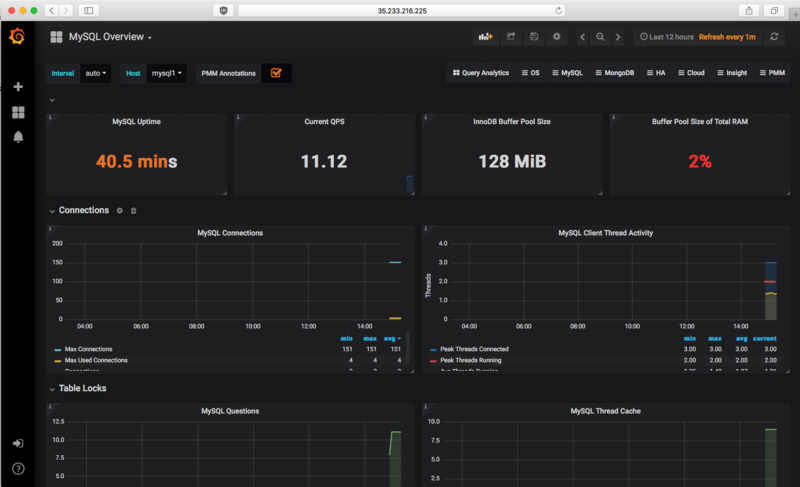 Installed Percona Server 5.6 and pmm-client and then added services. Take note that since the PMM Server and the MySQL server is in the same project and same VPC network, we can connect directly through INTERNAL_IP 10.138.0.2, otherwise use the EXTERNAL_IP 35.223.216.225. 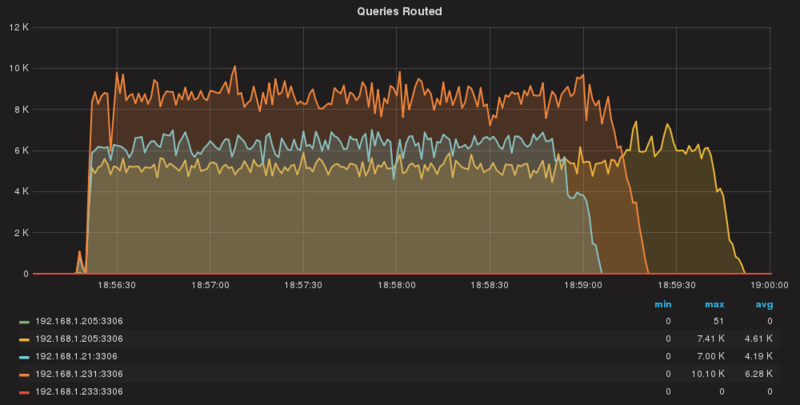 No monitoring registered for this node identified as 'mysql1'. Lastly, in case you need to delete the PMM Server instance. Just execute this delete command below to completely remove the instance and the attached disk. Be aware that you may remove the boot disk and retain the attached persistent disk if you prefer. The other option is to install PMM on Google Container engine which was explained by Manjot Singh in his blog post. 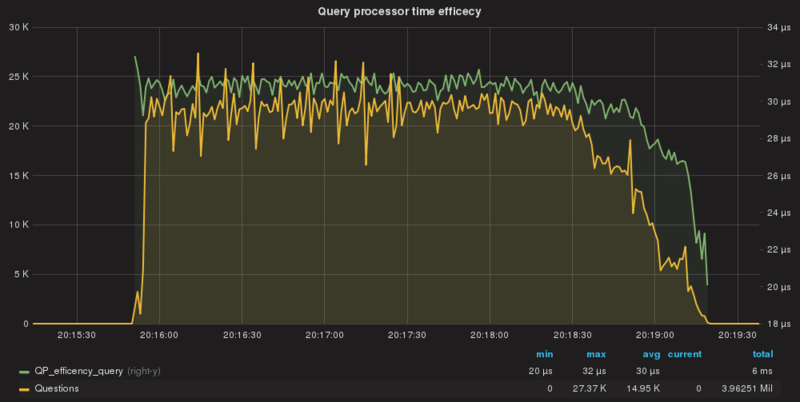 The post Setting up PMM on Google Compute Engine in 15 minutes or less appeared first on Percona Database Performance Blog. For right I mean an approach that allows us to have rules matching as specifically as possible, and impacting the production system as little as possible. There are a few case where this is not realistic, like in SaaS setups where each schema represents a customer. In this case, the application will have exactly the same kind of SQL – just pointing to different schemas depending the customer. In the mysql_query_rules table, we can define a lot of important things – one being setting our SQL firewall. We can define rules around almost everything: connection source, port, destination IP/Port, user, schema, SQL text or any combination of them. Given we may have quite a large set of queries to manage, I prefer to logically create “areas” around which add the rules to manage SQL access. For instance, I may decide to allow a specific set of SELECTs to my schema windmills, but nothing more. Given that, I allocate the set of rule IDs from 100 to 1100 to my schema, and add my rules in three groups. There is a simple thing to keep in mind when you design rules for firewalling: do you need post-processing of the query or not? In the case that you DON’T need post-processing, the rule can simply apply and exit the QueryProcessor. That is probably the most common scenario, and read/write splits can be defined in the exception rules assigned to the rule for the desired HostGroup. If you DO need post-processing, the rule MUST have apply=0 and the FLAGOUT must be defined. That allows you to have additional actions once the query is beyond the firewall. An example is in case of sharding, where you need to process the sharding key/comment or whatever. That rule will block ANY query that tries to access the schema windmills from application user pxc_test. Now in set 1, I will add all the rules I want to let pass. I will report here one only, but all can be found in GitHub here (https://github.com/Tusamarco/blogs/tree/master/proxysql_firewall). That is quite simple and straightforward, but there is an important element that you must note. In this rule, apply must have value of =1 always, to allow the query rule to bypass without further delay the firewall. This is it, ProxySQL will go to the managing rules as soon as it finds a matching rule that allows the application to access my database/schema, or it will exit if apply=1. Please note the presence of the flagin, which matches the flagout above. Setting rules, sometimes thousands of them, can be very confusing. It is very important to correctly plan what should be in as an excluding rule and what should not. Do not rush, take your time and identify the queries you need to manage carefully. com.mysql.jdbc.exceptions.jdbc4.MySQLSyntaxErrorException: You cannot pass.....I am a servant of the Secret Fire, wielder of the flame of Anor,. You cannot pass. First, let’s define the baseline by running the application without any rule blocking (but only the r/w split (set 3)). 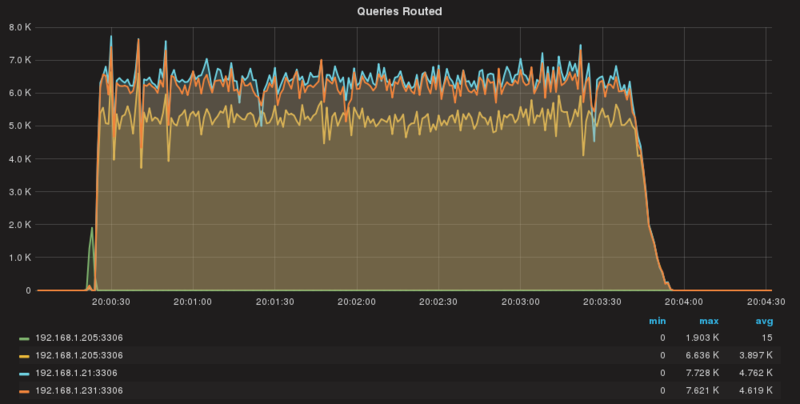 As we can see, queries are almost equally distributed. 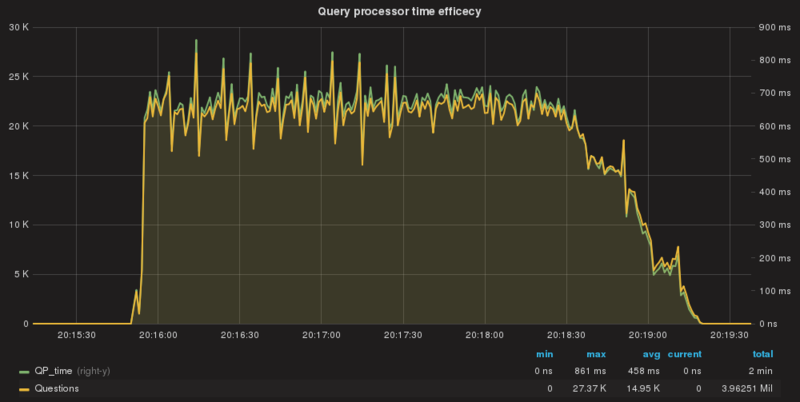 All queries are processed by QueryProcessor in ~148ms AVG (total). 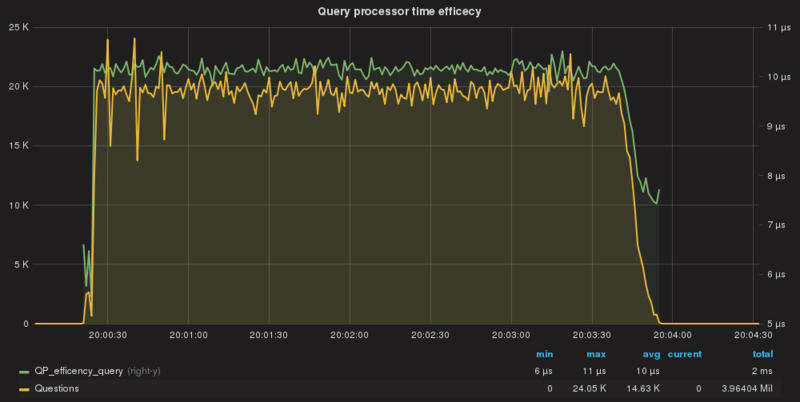 The single query cost is in nanoseconds (avg 10 us). Also notice that if we are in the range of nanoseconds, the cost of processing the query is now three times that of the baseline. Not too much, but if you add a stone to another stone and another stone and another stone … you end up building a huge wall. So, what to do? 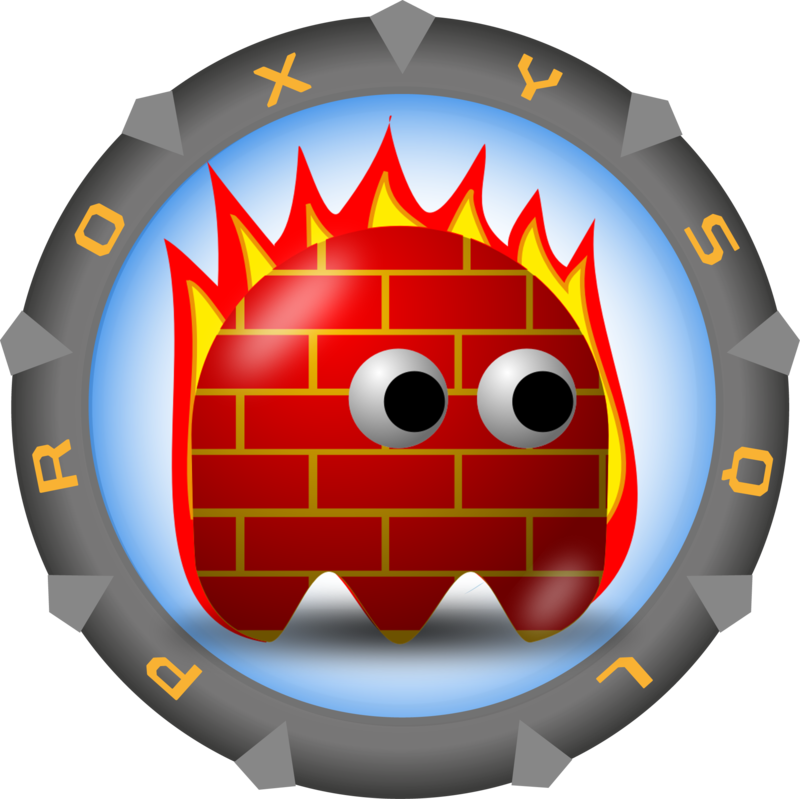 Up to now, we saw that managing the firewall with ProxySQL is easy and it can be set at very detailed level – but the cost may not be what we expect it to be. The secret is to not use match_digest (which implies interpretation of the string) but to use the DIGEST of the query (which is calculated ahead and remains constant for that query). 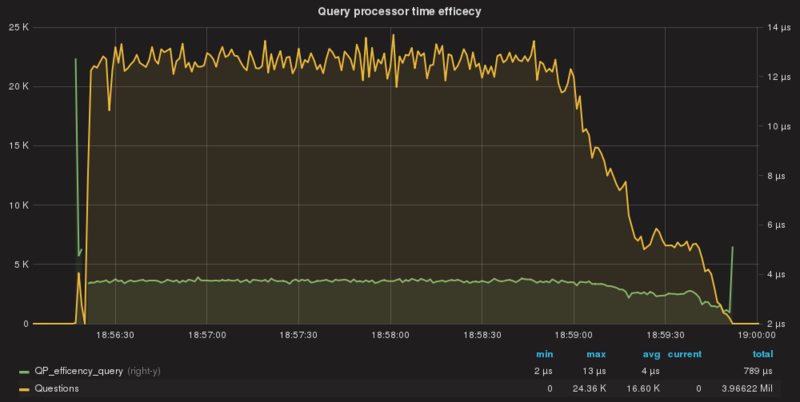 And we drop to 61ms for execution of all queries. 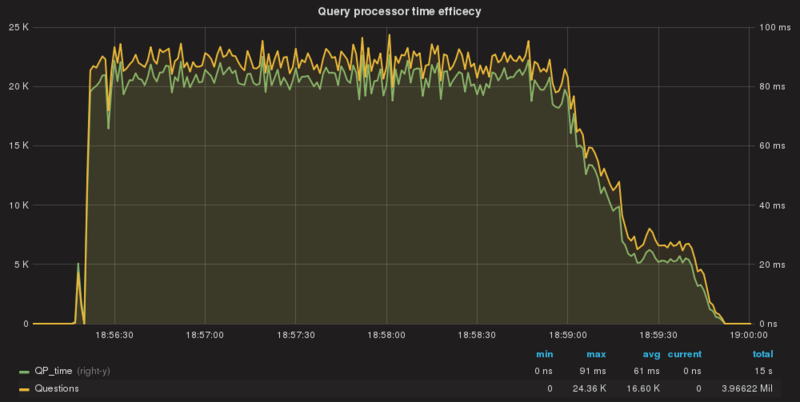 Note that we improve the efficiency of the Query Processor from 148ms AVG to 61ms AVG. Why? Because our rules using the DIGEST also have the instructions for read/write split, so requests can exit the Query Processor with all the information required at this stage (much more efficient). Finally, when using the DIGEST the cost for query drops to 4us which is … LOW! That’s it! ProxySQL using the DIGEST field from mysql_query_rules performs much better given that it doesn’t need to analyze the whole SQL string with regular expressions – it just matches the DIGEST. ProxySQL can be effectively used as an SQL firewall, but some best practices should be taken in to consideration. First of all, try to use specific rules and be specific on what should be filtered/allowed. Use filter by schema or user or IP/port or combination of them. Always try to avoid match_digest and use digest instead. That allows ProxySQL to bypass the call to the regularExp lib and is far more efficient. Use stats_mysql_query_digest to identify the correct DIGEST. Regarding this, it would be nice to have a GUI interface that allows us to manage these rules. That would make the usage of the ProxySQL much easier, and the maintenance/creation of rule_chains friendlier.